"Apprenticeships are only for young people"
Myth busted: It is a common misconception that apprenticeships are only for young people aged between 16-18. With the wide range of apprenticeships on offer, they can be suitable for anyone. An apprenticeship can be tailored to an individual and their job role to further enhance their skill set and knowledge of their responsibilities. Myth busted: Apprenticeships are not only for entry level roles. Apprenticeships are available from a level 2 (equivalent to GCSE level) all the way up to level 7 which can be the equivalent of a Masters Degree. Myth busted: As a Levy paying employer you need to be aware that your funds expire and cannot be refunded. Levy funds are valid for 24 months after they enter your digital account. For example, if you entered in at the start, 6th April 2017, your Levy funds will expire on the 6th April 2019. If you don’t use it, you will lose it. Your digital account works on a first-in, first-out basis. So, you will use the funds that first entered your digital account automatically when a payment is taken. Myth busted: Many employers object to an Apprenticeship scheme because they believe 20% (which is equivalent to one day per week) of your time off the job is too much. But what employers don’t realise is that off the job training doesn’t mean one day a week spent in a classroom. It’s important to provide an apprentice with 20% off the job learning space. Training providers who don’t facilitate this may have their funding recovered by the government. More on this here. Myth busted: The cost of an Apprenticeship is spread throughout the duration of the course, which could be between 12 – 24 months. Payments for the Apprenticeship are taken monthly from your AS account, and the final 20% of the cost is not paid until the end of the programme. This means that there are no large upfront costs to enter into an Apprenticeship scheme. You just need enough funds in your AS account to cover the monthly payments. Apprenticeships are much more affordable than you might think. Hawk Training can help you by explaining the costs, outlining what is involved, and managing your spend throughout the process. We also inform you about all the financial incentives that are available to you, so you’re always getting the most out of your spend. Myth busted: An apprenticeship can be used to upskill and train current employees of any age. The Apprenticeship must give your employee skills that enable them to perform better in their chosen occupation. The Levy can also be used to hire someone new specifically as an apprentice. Myth busted: If you’re an employer and you’re wage bill is above £3,000,000, then you have been paying into an Apprenticeship Levy through payroll collected monthly through PAYE. If your organisation had a wage bill of over £3,000,000 from the introduction of the Levy (6th April 2017) you will have been generating a Levy pot for almost 2 years. 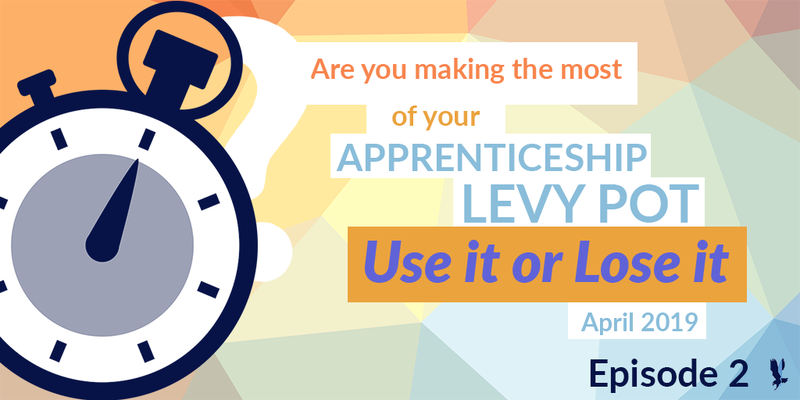 To check how much you’ve accumulated in your Levy pot set up an account with the online Apprenticeship service. You can register your account here: https://manage-Apprenticeships.service.gov.uk/. There is a quick and easy way to calculate how much is in your levy pot. Myth busted: Government has set a goal of funding 3 million new Apprenticeships in England by 2020. The Levy is a ‘hypothetical tax’; which means the funding can only be spent on Apprenticeships. But there is another incentive of ‘co-investment’. If your chosen Apprenticeship scheme costs are more than the funds you have in your AS account you only have to pay 10% of the additional cost. Government will pay the remaining 90%. This is known as a ‘co-investment’. This determines how much an employer will be required to pay towards training and assessment if they do not pay the Levy, or, if they pay the Levy but do not have sufficient funds in their digital account to cover the training and assessment costs in a month. The government proposes that employers co-invest 10% of the costs, with government funding the remaining 90%. Example: Employer with a Levy pot of £5000. They take on 2 new Apprentices. There is also a £1,000 incentive for hiring an Apprentice aged between 16-18. This also applies to a 19-24-year-old Apprentice with additional learning needs or an Education, Health and Care (EHC) plan. Employers with an Apprenticeship Levy pot have a fast approaching deadline. Funds expire 24 months after entering your pot (which could be as soon as the 6th April 2019), so it's crucial that you start using your funds now. Hawk Training supports over 3000 Apprentices and is committed to assist the government in reaching their target of 3 million Apprentice starts by 2020. The Levy system can be complicated, but Hawk Training is on hand to help you understand and make the most of your Apprenticeship Levy. Give our team a call 020 3664 7258 to see how we can help to unlock your Levy. In our next article, we will be identifying training opportunities within your organisation. To have it delivered straight to your inbox, subscribe to our blog.